The Best Deck and Outdoor Kitchen Contractors in San Jose are Here to Serve You! Here are some questions we have fairly frequently. Please let us know how we can serve you. 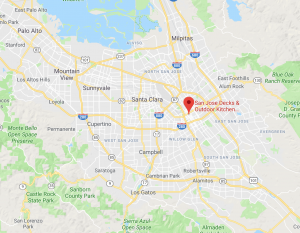 Unlike other deck companies or home supply retailers, San Jose Deck and Outdoor Kitchen Builders never uses stock deck designs. Every deck is custom designed and tailored to your unique needs and desires. You can also choose from a variety of design details including different deck shapes and patterns, inlays, unique railing styles including copper, illumination for evening, etc.